This charming one owner 2/2 custom cabin/chalet in the woods sits on 4.96 acres of unrestricted forest. 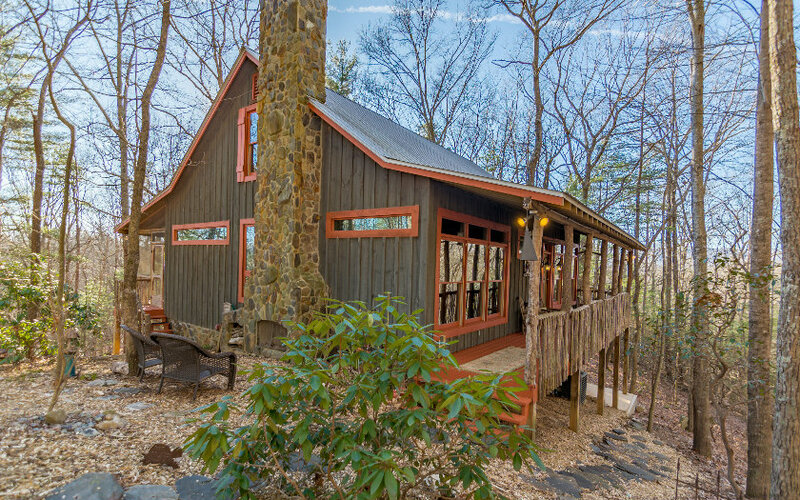 If peace and quiet is what you desire, this "one of a kind" mountain home is the perfect place to get away to. The double sided fireplace is perfect to keep you warm and toasty inside and there is an outside fireplace where one can enjoy nature and breathe in the mountain air while staying toasty by the fire. The unfinished attic area is perfect for storage or could be finished for additional sleeping space or a game room and the unfinished basement is ready for a shop or additional storage. A representative from Metro Brokers has received your request to visit 1030 Lost Forest Road on at .